Want to focus on growing your blog but struggle to find the time to get things done? If you’re juggling a job, school and a dozen other things all at once, spending hours a day writing blog posts likely isn’t an option. But what if you could write a complete, compelling article in just 15 minutes? As someone who can easily spend an hour writing a single sentence (let alone a full article or blog post! ), I am always looking for ways to simplify and speed up my own writing process. I find it helps to remember that readers prefer articles that are brief and informative, so spending hours crafting the perfect paragraph is probably not going to pay off in terms of traffic. Here are a few tips and techniques to help you get things moving! Intro: Here’s where you briefly describe the “what” of the article. Summarize what the post is about, what the reader will learn, and why they should keep reading. People often lose interest after reading the first sentence or two of an article, so your intro needs to get them hooked. Open with something interesting like a fun fact, famous quote or thought-provoking question to boost engagement right off the bat. 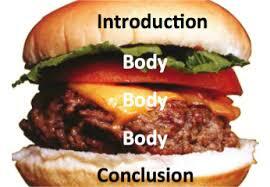 Middle: This is where you explain the “why” or the “how” behind the “what” of your article. Whether you’re giving advice, sharing information or writing a tutorial, keep the information clear, concise and easy to follow. Include any applicable images to illustrate your point and break up large amounts of text. Conclusion: End your article with a call-to-action, encouraging your readers to use the advice, instruction or information given in your article and to share it with others. Many bloggers find it helpful to create headline bank where they write down ideas that come to them or make note of headlines that catch their attention online. This can be a great time saver if you are stuck on a title and need a little inspiration. Coming up with a great headline before you start your article can help guide your writing as well. Posting regularly is essential if you want your online presence to really grow. If you have a lot to say about a particular topic, there’s no need to pack it all into one post. Narrow down the content and break it up into a series of posts. This way, you’ll have a few days’ worth of articles ready to go and you can entice readers to check back soon to view the next post. Let’s say you’re writing an article about your fall beauty essentials. Instead of creating one comprehensive post, separate the content into different categories. One post could cover skin care, another eye makeup, another lip color or hair products, etc. At the end of each post, your closing call to action could link to the past, present and future posts in the series. Suffering from a serious case of writer’s block? Write a list! List posts are great because they are quick to write and fun to read. 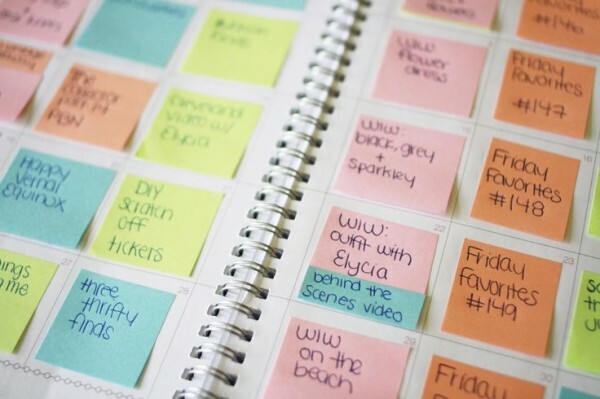 You can write a list about anything: your favorite beauty products, Pinterest recipes, D.I.Y. ideas, must-see movies, etc. The options are endless. The article should be visually appealing and include images to illustrate each item on the list. Sharing content created by fellow bloggers on your site is a great way to make connections in the online community. Just be sure to credit their work in your post and include a link to their page. Hopefully one day they’ll return the favour! Allot yourself a specific amount of time to write each portion of the post (headline, intro, middle and conclusion) and do your best to stay on schedule. You’ll be able to pinpoint where you’re spending the most time and which areas you need to work on. As with all things, efficient writing takes practice. Just follow these helpful tips and you’ll be speed blogging like a pro in no time!